Are those dodge rear fenders? 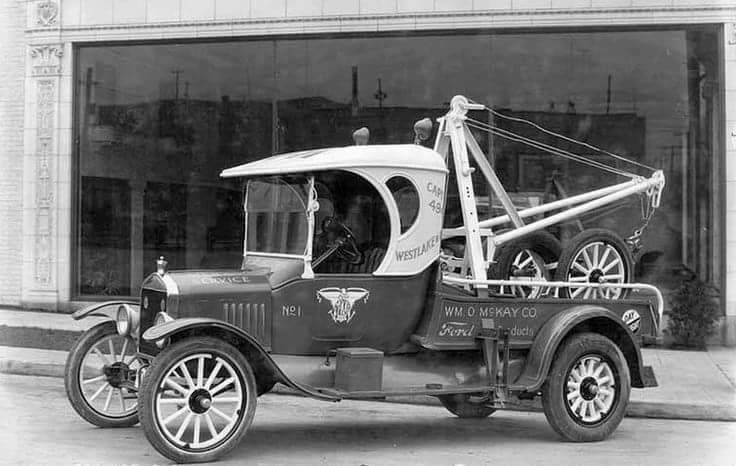 The photo is of a truck from the William O. McKay Company, an early Ford dealer, in Seattle, Wa. 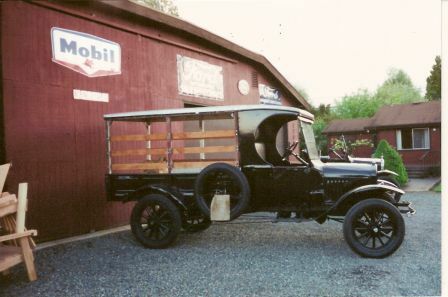 McKay opened his dealership on Westlake Avenue in 1923. Really cool, thank you sharing this. Love that truck! Looks like out riggers on the front boom legs. The 1/2 moon side windows are nice. Look at the battery box on the running board. That dealership is where my Gramps purchased his 1924 TT brand spanking new ! James - I think you would have to!